2nd International Conference on Wound Care, Tissue Repair and Regenerative Medicine : Vydya Health - Find Providers, Products. 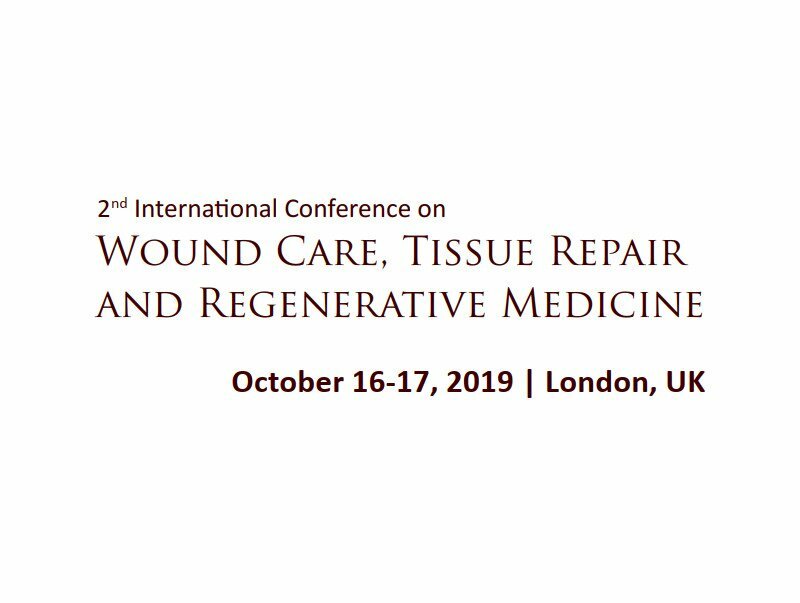 With Immense pleasure, Wound Care 2019 along with the Organizing Committee Members invites all the participants from all across the globe to attend 2nd International Conference on Wound Care, Tissue Repair and Regenerative Medicine which is slated on October 16-17, 2019 at London, UK with the theme Navigating the Future of Wound Healing, Tissue Regeneration and Regenerative Medicine. This year Wound Care Conferences anticipated as two days interactive, stimulating discussion with 10+ keynote lectures, 50+ plenary lectures, 10+ Young Research Forum Lectures, 20 + Poster Sessions. Besides, there will be 3+ workshops and 2+ Symposiums. We also expect to provide technical demonstrations and numerous opportunities for informal networking.